We are still here. I spent a lot of time this weekend solidifying Core. If it's not stable, no plugins will work. Custom EndPortal linking is very iffy atm. It psudo-works, but don't rely on it. I will be working on it this weekend. Anyone else get all the portals going to the same place in the nether? I installed the plugin, and there is no config. The nether portal in world "Normal" takes me to the world "Normal_nether" and visa-versa. But from my world "Elite" portals don't take me to a "Elite_nether", even though I created such world. In any world whenever I attempt to go to the Nether it won't let me, eg. if I'm in the world "world" and go through a portal, a console error comes up saying "Whoops! world_nether does not exist" even though it does and is in the same directory as "world." Edit: Turns out you need to import "world_nether" into Multiverse. D'oh. Is there any way to point all SSP-type portals to a single world, regardless of what world it is made in? so our main world had existing portals but I generated a new nether.. the imported in to mc core.. all portals from some reason all go to the same exit in nether.. and the nether always goes to the first portal that was gone through in the main world... what could I be doing wrong? I have the same problem as kingblah. [wolrld]_nether exists, suffix is correct, the world is registered in MV, I've set the scale to 8 - yet still I can't use the nether portal (/mvtp works fine). Edit: OK - problem fixed. I didn't have the main world imported to MV. 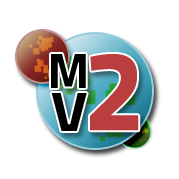 Did you remember to import your nether into multiverse core with /mvimport [worldname] nether? Our conflicts are on the GitHub wiki, feel free to edit it yourself to help other users out! Nether Portals seems to conflict with Essentials when you have nether options enabled within the Essentials config file. Setting all of the values to false allowed me to correctly use Nether Portals (with signs). I didn't test to see if it was just one value causing the problem or all of them due to the pesky need for sleep. I know it sounds obvious, but it took me several days to figure out the issue. Possibly something to look at adding to the conflicts page? PS: Thanks for some great plugins! You guys do a fantastic job! Make sure (by going to the nether) that it's scale is set to 8. You can set it to 8 by doing: /mvm set scale 8 in that world. Sorry for the slow response, didn't have subscribe on this plugin on. This plugin does NOT stop nether worlds from generating, it just does not START them. Vanilla bukkit will not generate companion nethers for each world. You have to do this yourself.